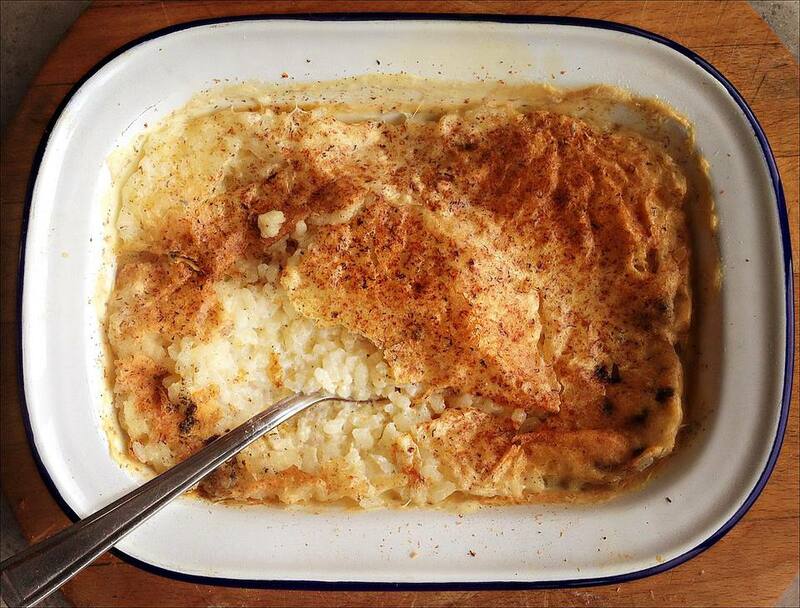 There are some puddings which simply never, ever go out of style, and a Traditional British Rice Pudding is one of them. This simple, pudding has been loved on these shores for centuries and is not about to disappear. Making a rice pudding is so, so straightforward and perfect if you have already heated the oven to cook a dinner, done a little baking or a Sunday roast pop the rice pudding in and leave it to cook. Lightly butter a 1.25-litre ovenproof pudding dish. Sprinkle the rice and the sugar into the greased pie dish. Pour the warmed milk over and stir thoroughly. Add the lemon strips, stir again. Finally, grate a thick, decent layer of nutmeg on top. Don’t be shy about this, you cannot have too much nutmeg on the top of a rice pudding. Place the dish onto a baking sheet, and carefully place in the center of the preheated oven and bake for 2 to 2 1/2 hours, until the rice pudding is thick and creamy with a deliciously thick, nutmeg skin. Serve on its own or with stewed fruit - we suggest poached pears or roasted rhubarb! You could also add a dollop of homemade jam on top. Success comes from using full milk (milk with the fat) and a little cream. If you are watching the calories, then reduce to a semi-skimmed milk. Be warned, though, it will not be as creamy as using full fat but will still taste good. Do not throw vanilla pods away even if you have scraped the seeds out; pop them into a jar of sugar with a tight-fitting lid. Every time you have a used pod, pop it in the jar. The pods will flavor the sugar with the sweet scent of vanilla which you can then use in baking, ice cream or desserts.